Stereogum points us to a long passenger account confirming this recent Tweet from Wayne Coyne: “Sorry Sorry Sorry!! Everyone that was inconvenienced because of my grenade at OKC airport! !” Turns out that was not a joke; Coyne really did bring a grenadelike item through security, and the TSA blocked off the entire concourse, causing multiple travelers to miss their flights. 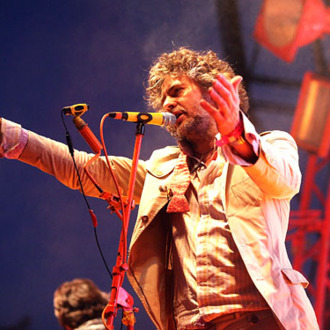 Learn from Wayne Coyne, Thanksgiving travelers! Leave your grenades at home.